"Summer Picks" by Ellen Murphy Dougan. 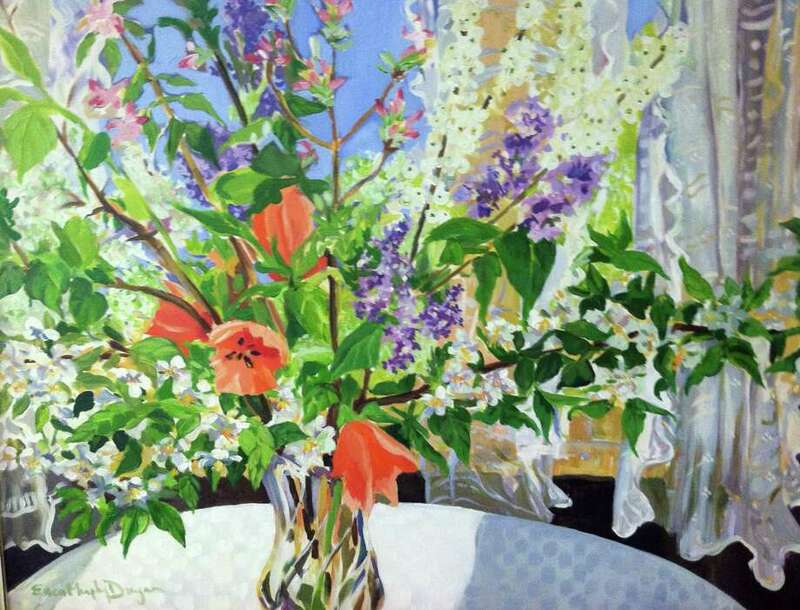 Breast cancer survivor Ellen Murphy Dougan will showcase her artwork this month at Darien Rowayton Bank in Darien. The bank will host an artist's reception Thursday, May 17, from 4:30 to 6 p.m. with wine and cheese. Murphy Dougan has used her artwork as a process of healing. She is a resident of Manchester and a graduate of the University of Connecticut, with a degree in painting and a concentration in ceramics. Upon graduation, she opened a ceramic studio, creating hand-thrown pottery and ceramic tile. After recovering from breast cancer, Murphy Dougan returned to working on canvas. She has had one-person shows at Naugatuck Community College, Norman Stevens Gallery in the Homer Babbidge Library of the University of Connecticut and the Canton Artist Guild, as well as State of the Arts in Hartford, the John Slade Eli House in New Haven and the Old Lyme Art Association. She is a former president of Connecticut Women Artists, Inc. and has taught adults at the Litchfield County Art Association and for the continuing education program in Manchester. For more information, contact Amy Pomponi at at 203-669-4127 or apomponi@drbank.com.